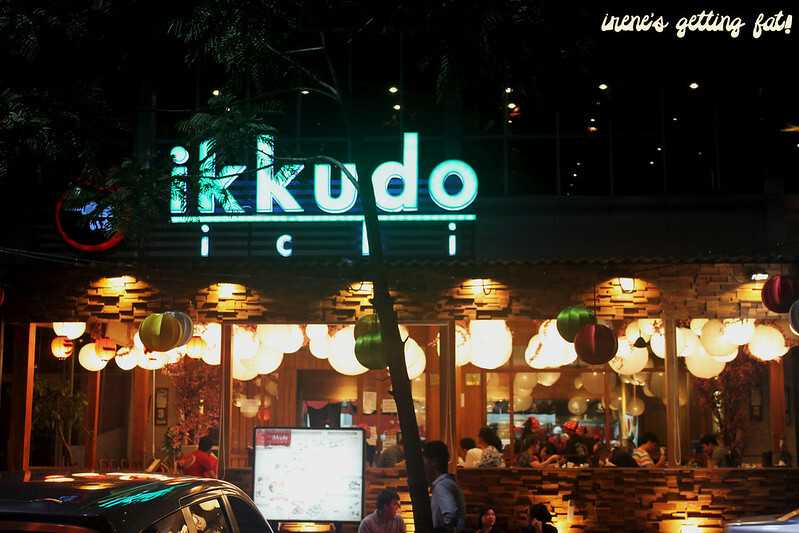 These two are the titans of ramen kingdom in Jakarta. With so many ramen places blossoming here and there, these are the two names that are most often recommended to me, and probably the most often talked between food lovers and ramen hunters as well. 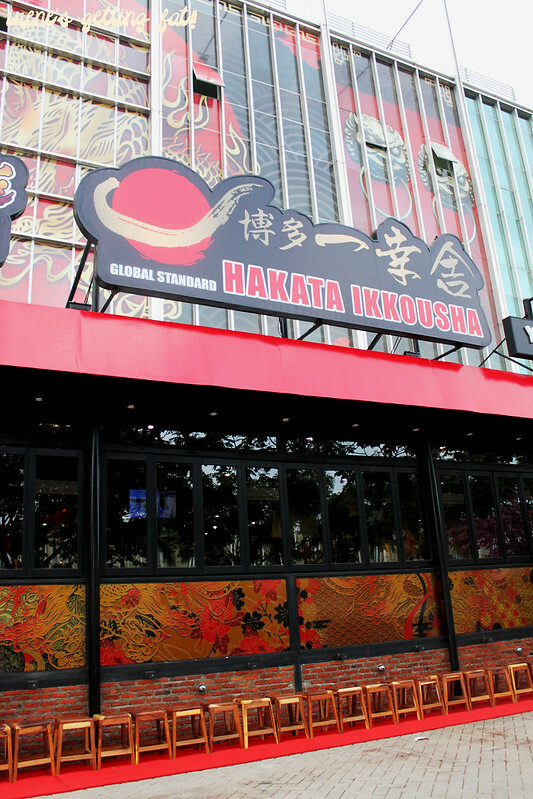 Hakata Ikkousha and Ikkudo Ichi conveniently open their branches in PIK, the one being just across the street of the other one.That makes it really hard not to compare. 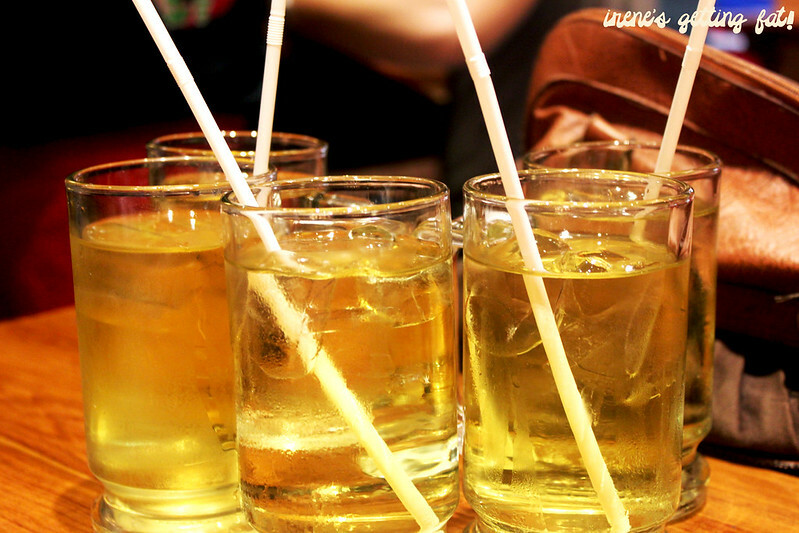 Some similarities between these ramen restaurants (and probably the others as well), are the condiments and the drinks. 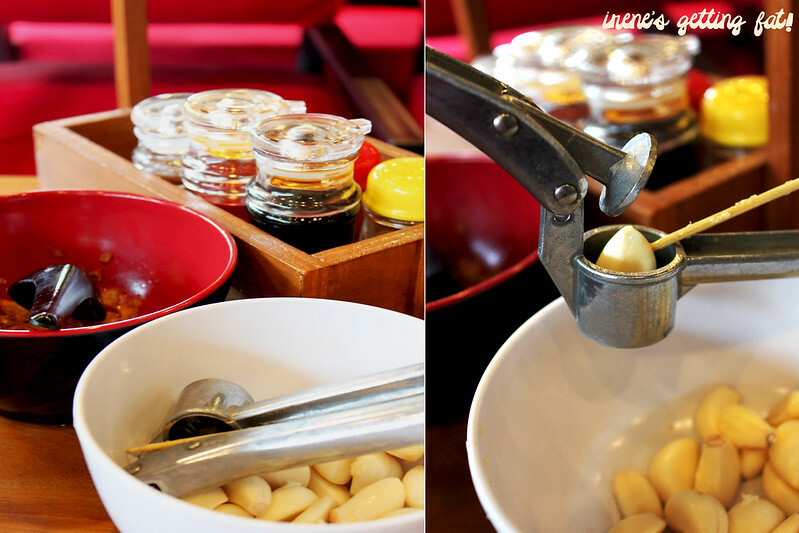 Chilli oil, chilli powder, soy sauce, and garlic with the crusher are guaranteed to be on the table, ready to bring your bowl to deeper level of flavour. The drink options don't differ much between the two, but you want to have refillable ocha (tea), which is more profitable. 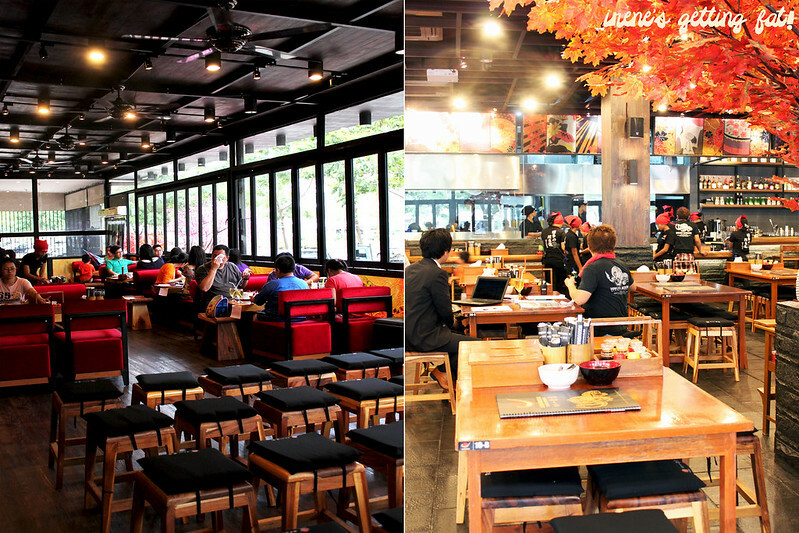 The place looks strong and sturdy with its Japanese patterns and decorations, dominated with black and red. One glance and you'll think this place is promising. Their modern yet warm interior is large and there are heaps of seating, which can be very quickly occupied during peak hours. Prepare yourself for long queues here. It's a shame that I don't really pay attention to their menu and always go straight to ramen pages, but I am sure that they have steak menus as well. 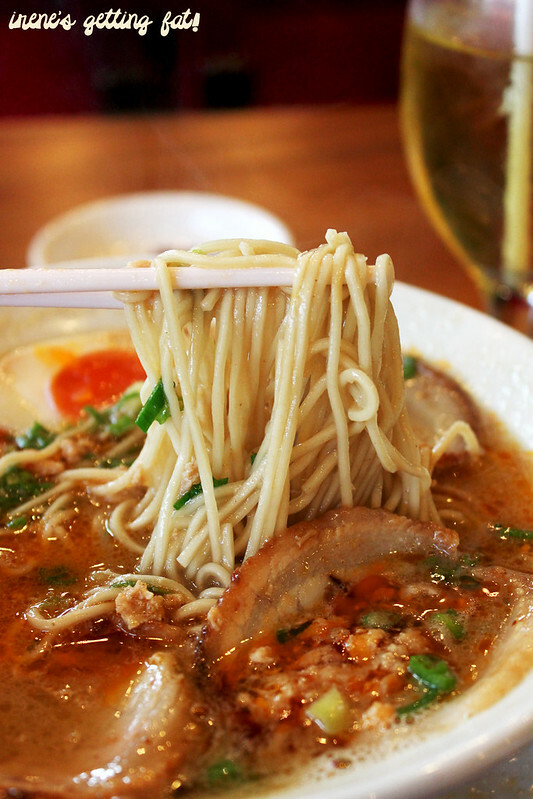 Now, to the main star: the ramen. Ikkousha's ramen babi special (special pork ramen) is always a soul-satisfier for me. 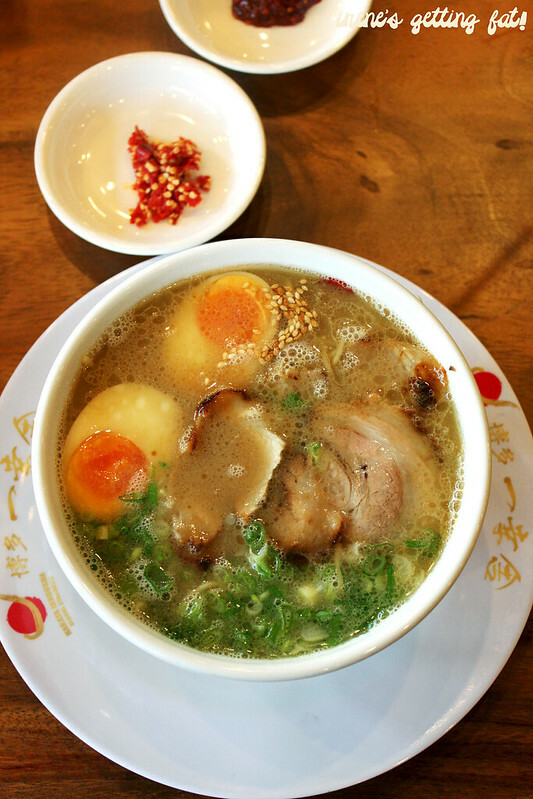 The fascinating bowl has: thick and intense porky broth, loaded with much-needed collagen (although maybe not as much as it is in Gumshara's), tender pork slices, perfectly cooked soft boiled egg, and springy noodles. Hold on, here's something even better: ramen babi silver (silver pork ramen) which has broth twice more intense than the normal one. I'm head over heels for this one. If you're into super thick ramen broth, this one's definitely for you. It also has additional chilli-garlic oil to go with the incredible soup, and it does add a bit of sting. The noodles, as always, are cooked to perfection, although I'm not sure if you can adjust the firmness of your noodles or not. Don't get me started on the pork slices. 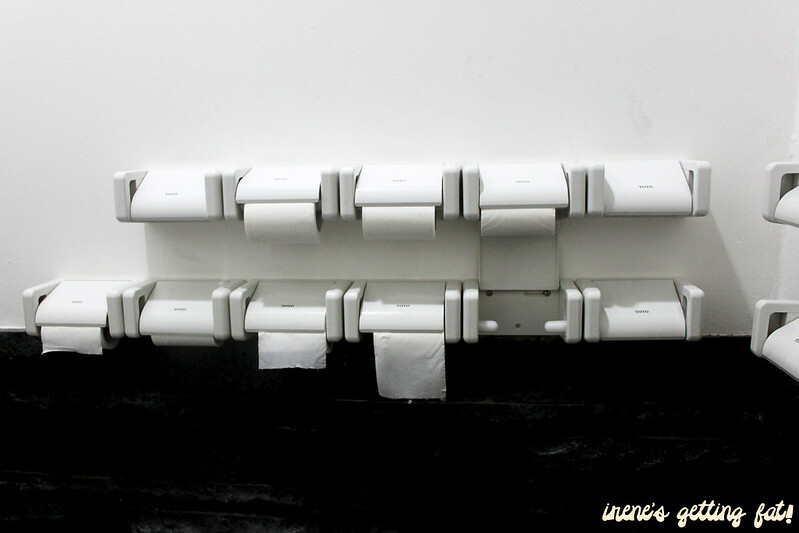 A unique sight at Ikkousha can be found in its toilet; so many toilet paper scrolls! Here's the rival: Ikkudo Ichi. Ikkudo's appearance is more unassuming and not as strong as Ikkousha, but still inviting.They have a menu board in front, so you don't have to spend ages browsing the menu book once you're seated. Again, watch your visiting time, as they are rumored to have at least 30mins queue for a table on a weekday dinner time. Just like Ikkousha, the interior is dominated with wooden touches and brown-ish colour, and apparently they uses black and red heavily as well. The kitchen is semi-open, you can see the chefs adding pinches of seasoning and spoonfuls of mysterious sauces onto steaming bowls of ramen. 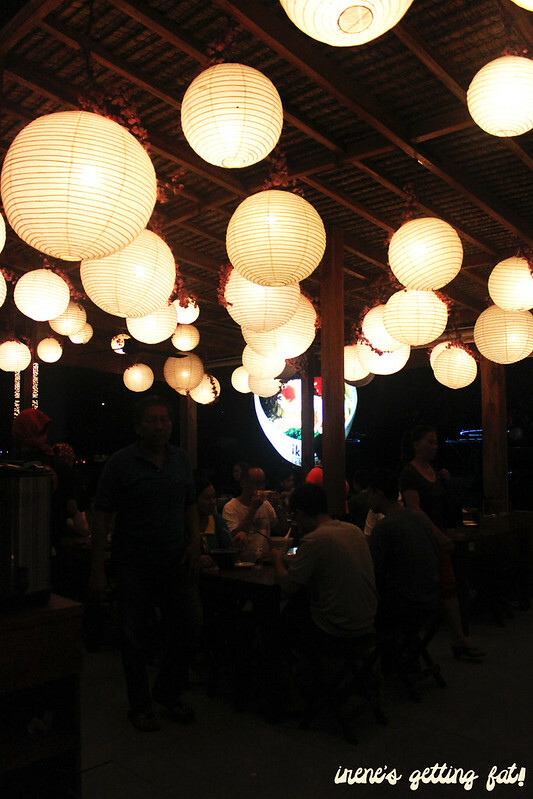 They have second storey seating too, and the exterior one is decorated sweetly with lanterns and small pinky flowers. I had Ikkudo's buta kara (pork broth ramen with their special red sauce). 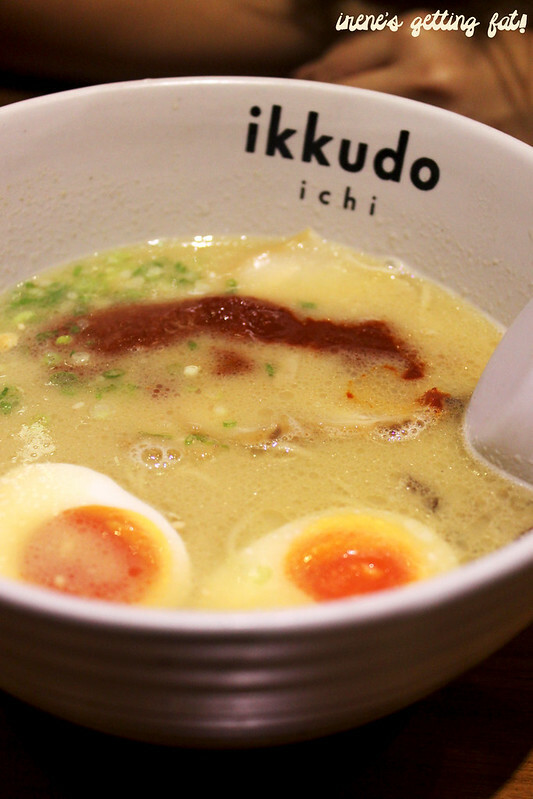 Although the broth is somehow not as intense as that from Ikkousha, the bowl is faultless. 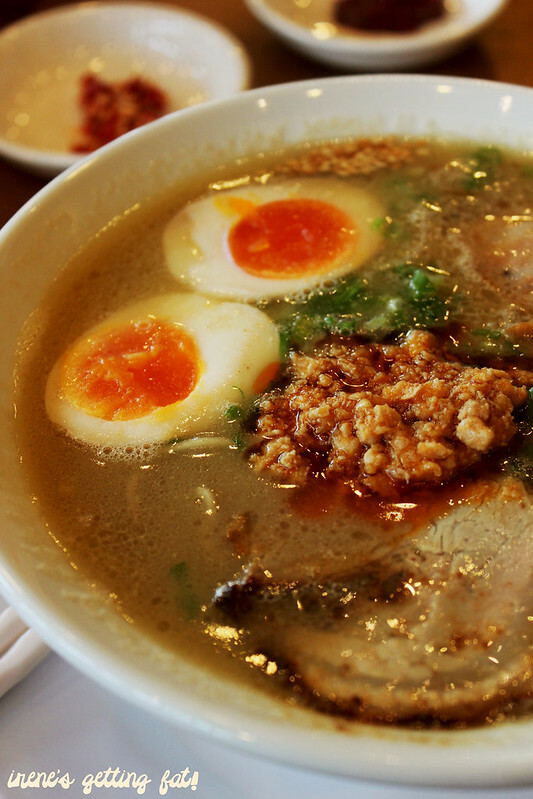 Perfectly cooked soft boiled egg, pork slices so tender that it feels like butter, and firm noodles. 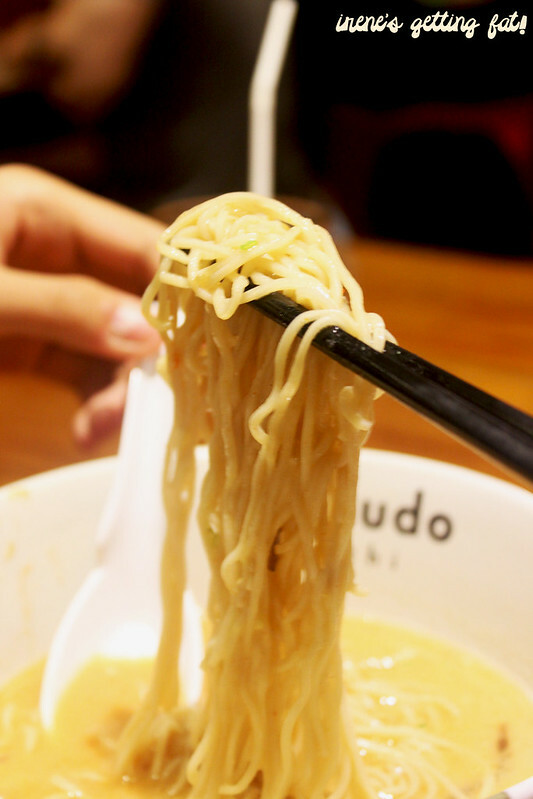 Here, you have the liberty to choose the firmness level of your noodles and the intensity of the broth. I'm planning to get the highest intensity of the broth next time, but the noodles are already perfect on the 'normal' level. 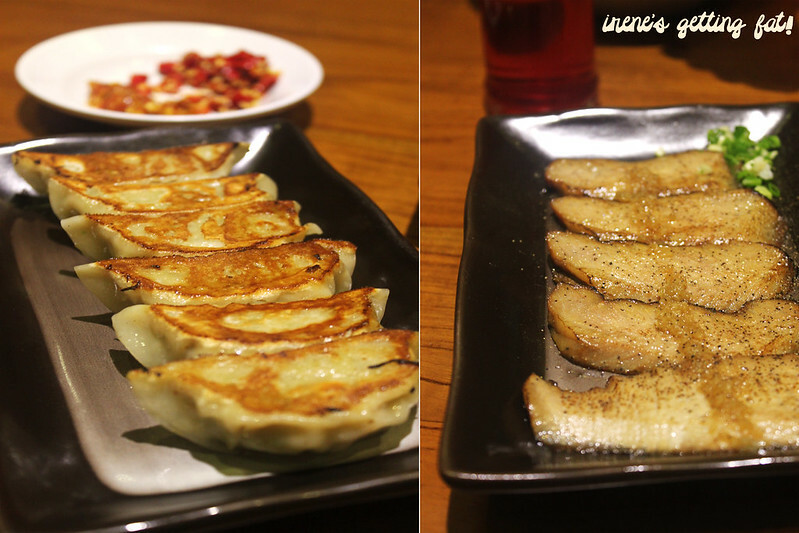 Some other awesome items were also tried, such as these yaki tori gyoza ebi iri (grilled chicken and prawn Japanese wontons) which is juicy and tasty, and also the unbelievably tender pork cheek. It's expensive alright, but try one bite and you'll know why. The quality is not a joke. This chicken katsu curry deserves a standing ovation, and I reckon it'll be even better if the curry isn't as sweet. 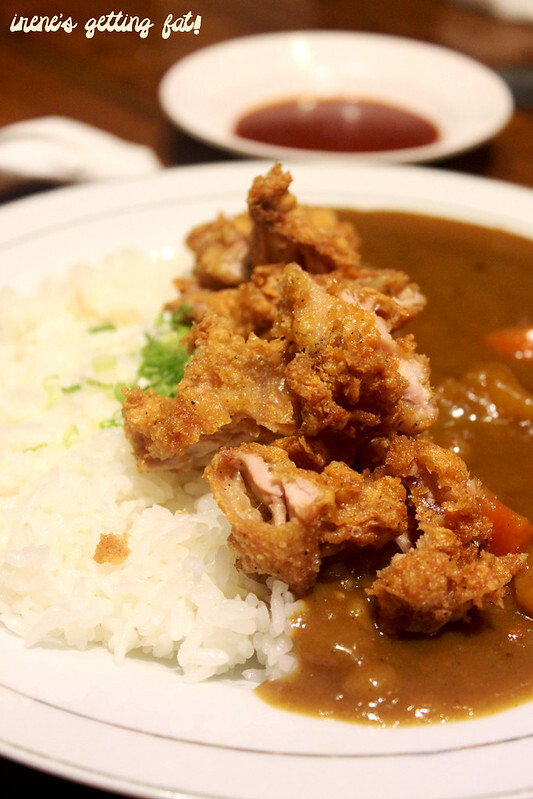 The chicken katsu itself has ear-shattering crunch and juicy flesh. 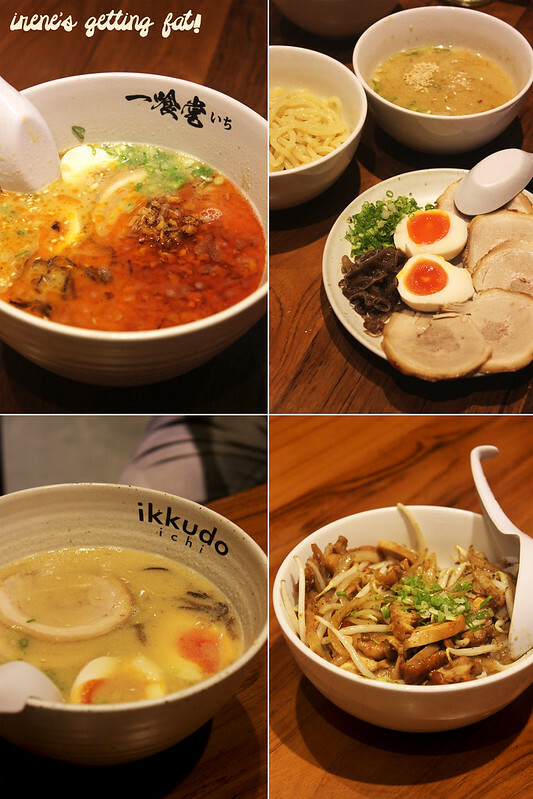 Here are the other bowls that I witnessed, but I only managed to try the tonkotsu tsukemen (pork dipping ramen) which has five tantalizing pork slices and two kinds of dipping soup: the bland one and the too-salty one. I think they're supposed to be mixed? Bottom-line, it's a tough call to decide which one's better. 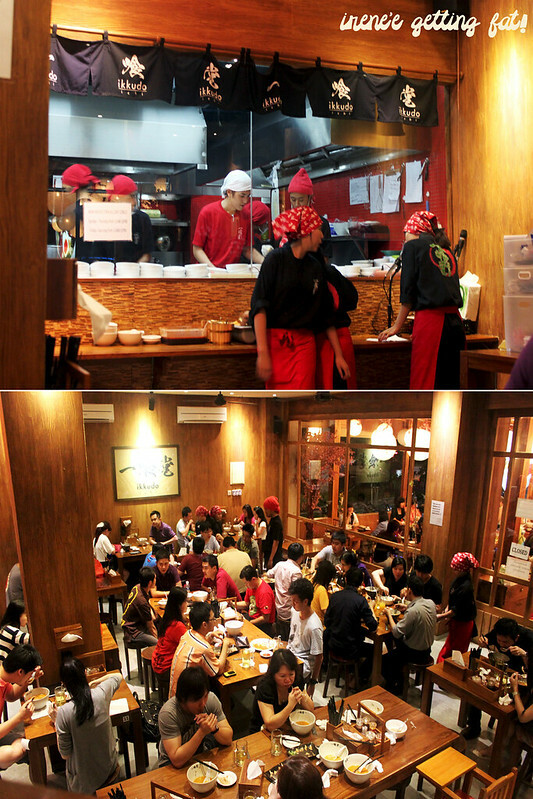 The prices are very similar, the service on both places are as good, and both places' ramen bowls are worth the queue. But if we're determining on the ramen only, I still prefer ramen babi silver (silver pork ramen) from Ikkousha. Then again, I may have to try Ikkudo's highest soup intensity before making this decision. So which one reigns supreme for you? One thing for sure, for those who live in PIK; you guys are pampered to the max! So far the best ramen in Jakarta for me, price is quite high but worth it, service is efficient and quick, place's ambiance is really nice, but be ready for long queue in peak hours. Great ramen, incredible katsu curry rice, price is quite high but rather reasonable, service is efficient and quick, ambiance is nice but be ready for long queue. 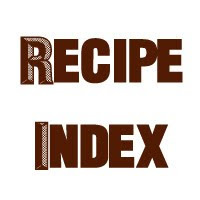 rumor has it, ikkudo ichi's owner and one of the head chef used to work in ikkousha and they said that he 'cheated' on ikkousha by 'stealing' the recipe and opened ikkudo ichi with the same style, or maybe not exactly the same but still look alike. btw, try ikkousha's karaage rin! tastes heaven! aahhh I see. noted, thanks ce! Wow, everything is just glistening right at me. Right now it looks better than anything I've had here! haha. I;'ve been loving your blog for quite some time now. Maybe we could follow each other on Bloglovin and/or GFC? I did browse your collections and loving them. what's GFC, BTW? 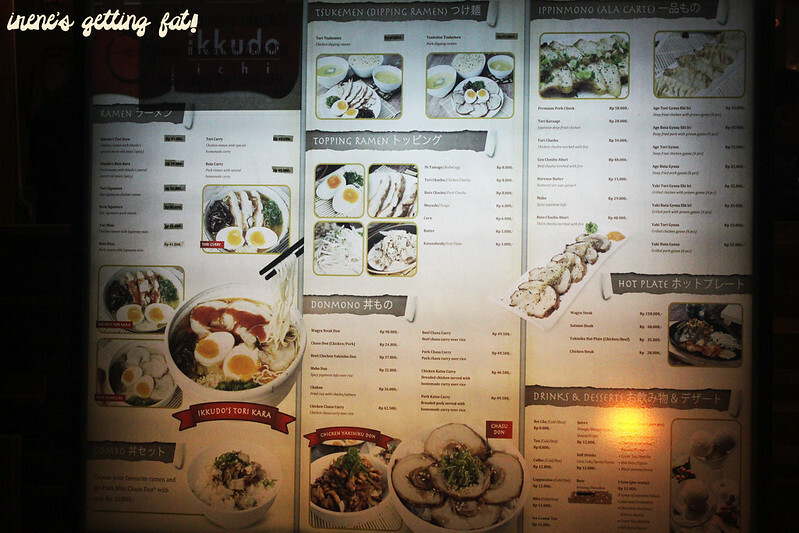 These two ramen shops are so famous and I see people posted their photos at Ikkudo n Ikkousha like everywhere.. Successfully drooling by your photos and the Ikkousha's ones seemed more inviting for me.. Good thing that tomorrow I'm gonna go to Jakarta.. lol. Indeed. 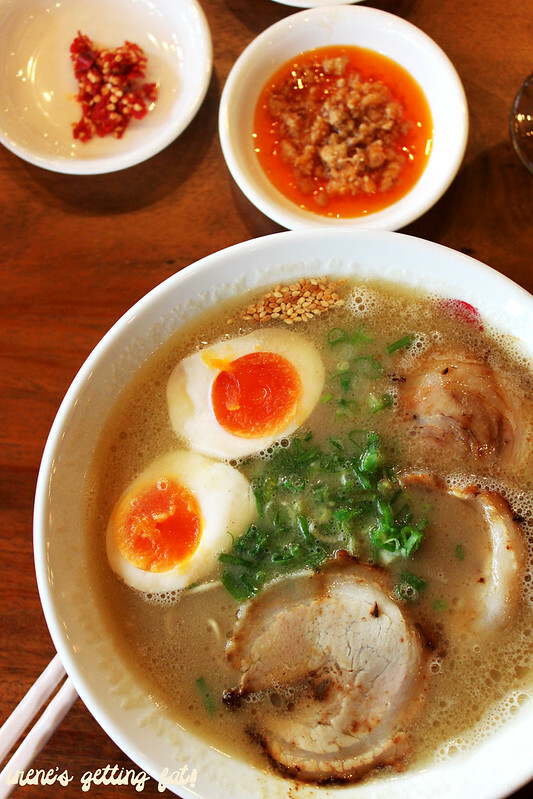 if you like ramen you will love them, I reckon.